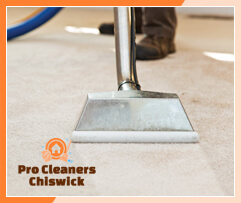 At Pro Cleaners Chiswick we have extensive experience with carpets. Over the years we have cleaned a variety of carpets for our clients. We deliver reasonably-priced carpet cleaning services in W4 Chiswick that produce outstanding results. It is recommended that you give your carpets a clean from time to time. Even if you don’t see dirt on them, it’s there. So you’d better let us take care of it in a professional manner so that its lifespan is extended. We are open every day and it is not going to be a problem for us to visit your home during the weekend. Call us in whenever you are free and we will restore the shine to your carpets. Get in touch with us today. There should be no concerns regarding transporting your carpet. The good thing about our company is that we do the cleaning on site. 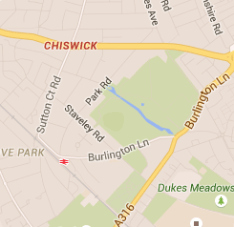 Thus your carpet cleaning service in W4 Chiswick will be provided in your residence. Let us walk you through our carpet cleaning process. We will remove some of the furnishings that are adjacent to the item so that we have easy access to it. Then we begin inspection. First we take a look at the areas that receive high traffic and are exposed to all sorts of grime and dirt. Then we work our way around. We vacuum the whole carpet to get rid of debris and dust. Next, we examine the stains that are present and choose a product from our cleaning supplies that will break down the stains. We pretreat the affected areas and apply more cleaning solution. We also use hot water extraction to get rid of any remaining solution as well as germs and mites. After using this method, we resort to industrial-strength dryers. They are great for aiding in the drying process. We will freshen your carpet, making it look much better than it used to be. A clean carpet can transform a room. 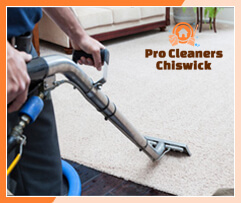 We can assure you our carpet cleaning service in Chiswick London will obtain the desired results. Why don’t you give us a call?